Welcome to the new official website for the Cardiff Junior Triathlon Club. Please note that the previous site www.cardiffjuniortri.co.uk has now been automatically redirected to this .org site. We hope you enjoy the new format. Please feel free to make any comments and recommendations by filling in the comment box below. 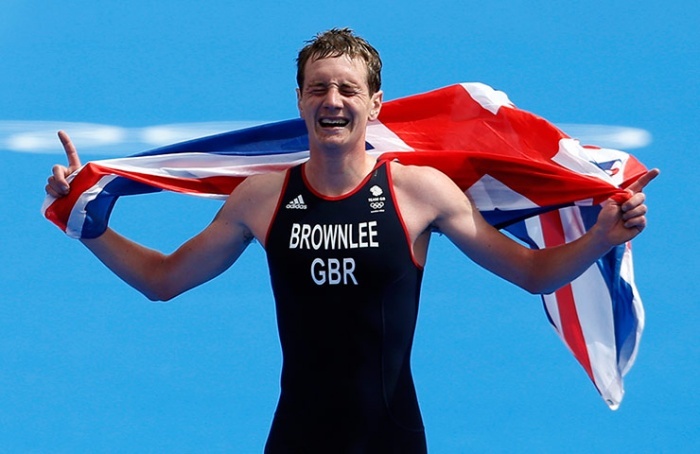 Team GB’s Alistair Brownlee wins the gold medal in the men’s triathlon event with Spain’s Javier Gomez winning silver and Brownlee’s brother Jonathan winning the bronze medal at the London 2012 Olympic Games. Triathlon was invented in the early 1970s by the San Diego Track Club, as an alternative workout to the rigours of track training. The club’s first event consisted of a 10km run, an 8km cycle and a 500m swim. Triathlon made its Olympic full medal debut at the 2000 Sydney Games. This helped the sport to become even more popular. It now has over 120 affiliated national federations around the world. While many variations of the sport exist, triathlon, in its most popular form, involves swimming, cycling, and running in immediate succession over various distances. Triathletes compete for fastest overall course completion time, including timed “transitions” between the individual swim, cycle, and run components.The word “triathlon” is of Greek origin from τρεις or treis (three) and αθλος or athlos (contest). 21.1-kilometer (13.1-mile) run (half marathon). 42.2-kilometer (26.2-mile) run (full marathon).